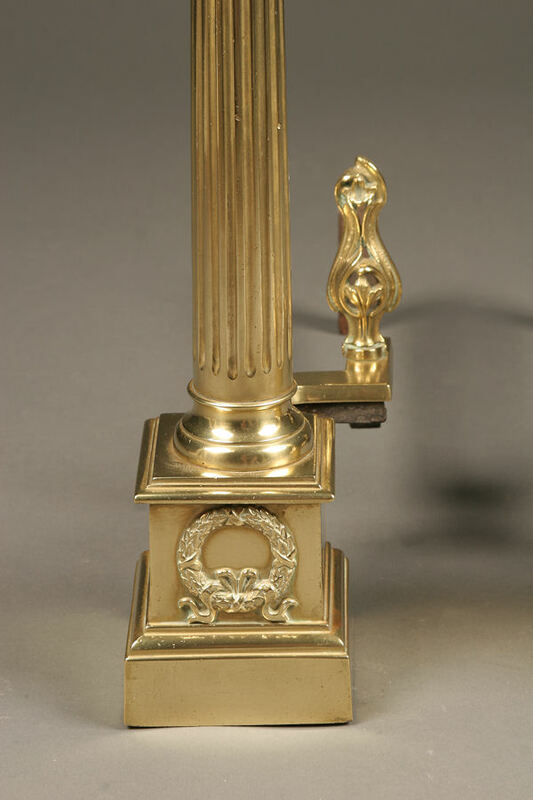 Pair of English cast brass andirons with reeded Iconic columns.Pair of English cast brass andirons with reeded Iconic columns. 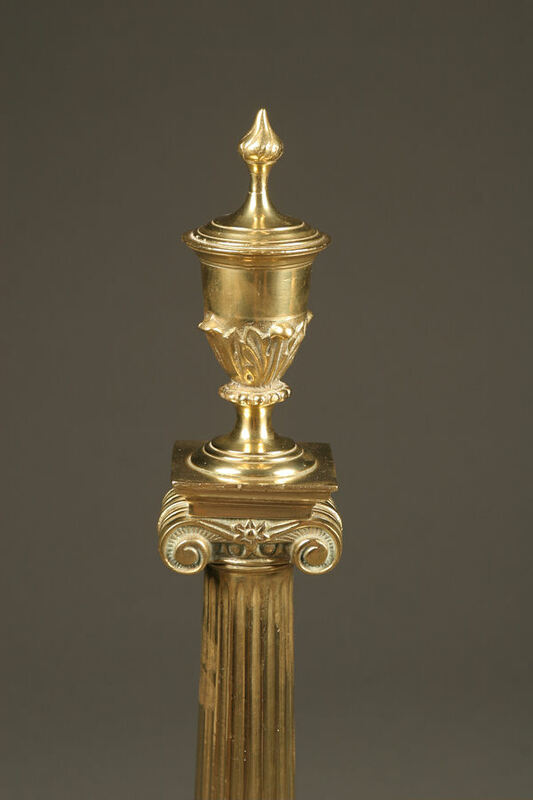 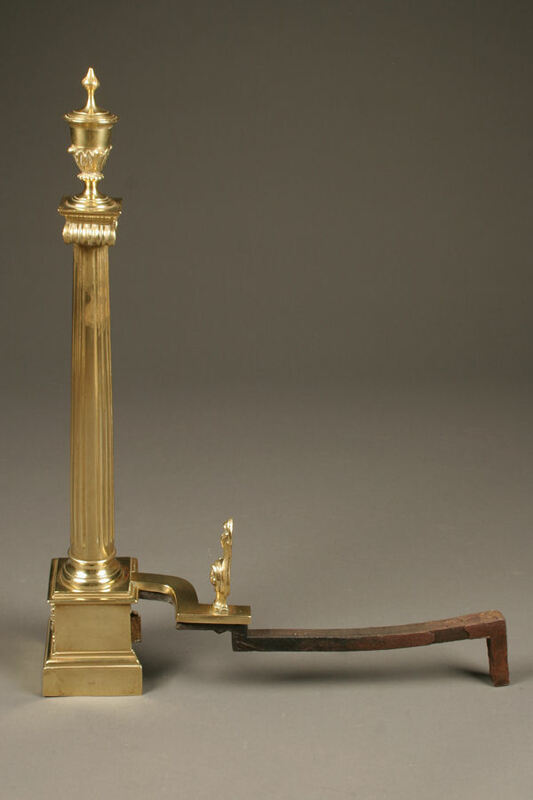 Pair of English cast brass andirons with reeded Iconic columns. 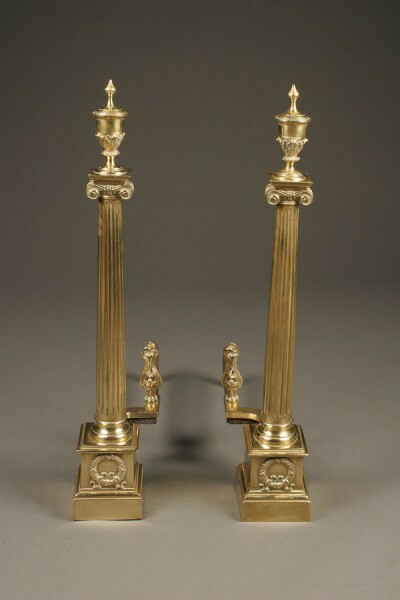 Pair of English cast brass andirons with reeded Iconic columns and wreath, circa 1920´s.